Guingamp host Monaco for the semi-finals of the French League Cup this Tuesday at 20:05 on the Roudourou. Guingamp lost on Saturday to Reims for a free-kick, while Monaco, who will again be led by Portuguese coach Leonardo Jardim, lost 2-0 at Dijon. With these results, the two teams did not leave the last two places of the league table. It is worth noting the heavy defeat of a Guingamp 9-0 week ago at the Paris Saint-Germain stronghold ten days after they won by two balls to one in the League Cup quarter-finals. Monaco won the quarter-finals Rennes on penalties after a draw at the end of regular time. In the last five visits to Guingamp, only for once did the Monegasque win, having lost on two occasions and tied in two. Who will move on to the final of the third race of the Gallic calendar? In three of the last five Guingamp games in the visiting condition there were less than 2.5 goals. 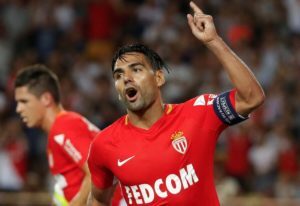 In four of Monaco’s last five games as a visitor there were less than 2.5 goals. Guingamp is the league’s worst attack with just 16 goals scored. 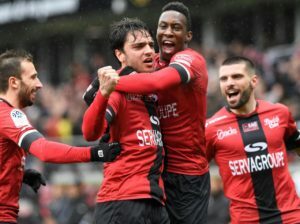 Guingamp is still struggling to avoid relegation, and the game he is still showing in Ligue 1 is desirable, the last performance was a weak one, losing 0-1 in the duel he had with Reims, a match played on his own ground. What is right, he likes to play more when playing in the French Cup, where he recently qualified in the finals, winning 2-1 at the expense of Nancy, with the goal of victory coming in overtime in the 101st minute. Normally he had a lucky run in the games of the League of France Cup, a trophy that does not come up with anything but money, managing to make penalties for Angers and Nice. The first real test was in the quarter-finals, managing to surprise and leave home at the PSG, playing the match in Paris, then two penalties decided the match, N’Ghabakoto and Thuram were the ones who signed up , previously Thuram missed a penalty shoot-out. We are facing two teams of very different realities, even though they are both struggling to maintain the top tier of French football. They both see this competition as a good opportunity to soften the bad season, but their main objective is clearly to escape the last places of the classification in Ligue 1. We expect therefore a less intense game and with fewer chances of goal.